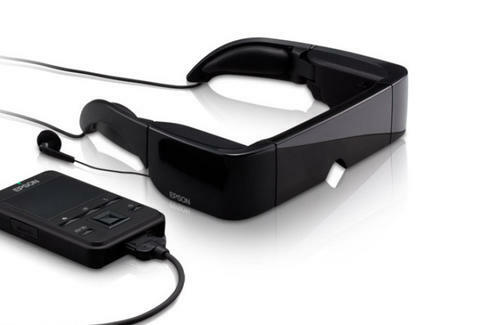 Has special see-through imaging tech allowing you to watch flicks while "experiencing the real world", though you may not want to, given that everyone is staring at you and your huge glasses. Holds up to 1GB of Android-based games and apps. Connects to WiFi for checking email, browsing the web, reading e-books, watching YouTube/Vimeo, and streaming content from even the most elaborate Flash-enabled sites, so... p*rn! Runs 6hrs on a full charge -- if you're watching p*rn for any longer, it may be time to get help. Pumps out Dolby Mobile surround sound through detachable custom earbuds. Supports microSDHC cards for up to 32GB memory, something you probably erased trying to repeatedly cure your "glaucoma".